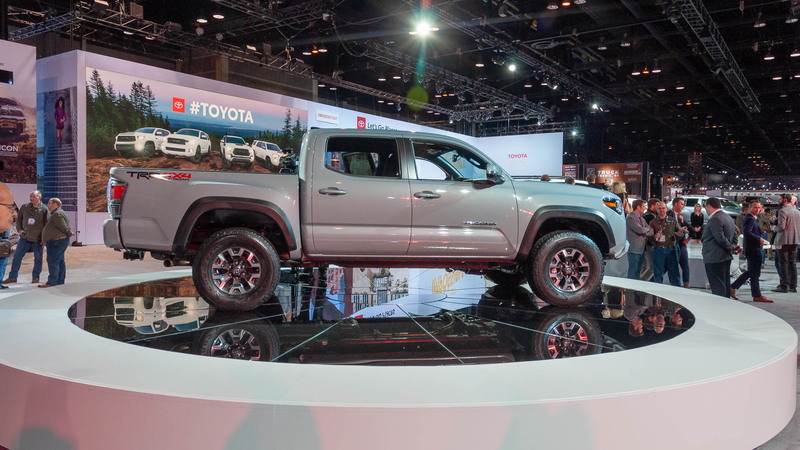 The Toyota Tacoma has been the best seller in the mid-size pickup truck segment for over a decade but new entrants have the potential to upset things. Toyota isn't resting on its laurels, however, which is why the automaker is bringing a round of updates for the 2020 model year. 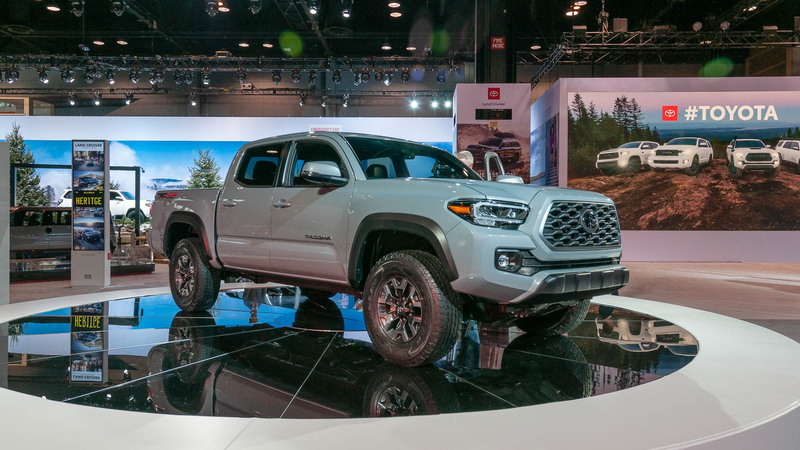 Set to debut on Thursday at the 2019 Chicago Auto Show, the 2020 Toyota Tacoma benefits from revised styling, an upgraded infotainment system and more goodies in the cabin. And for the TRD Pro model, there are new electronic driver aids designed to enhance the truck's off-road capability. A new grille is featured across the lineup, and on some models there are available LED headlights. The taillights have also been revised with a new dark housing, with the dark theme carrying over onto some of the available wheel patterns. For the cabin, there's a new 10-way power adjustable driver seat and the aforementioned infotainment system which now includes Android Auto, Apple CarPlay and Amazon Alexa compatibility. Toyota also makes a suite of electronic driver aids standard across the range. This includes collision warning, pedestrian detection, lane departure warning, and adapative cruise control. And for the TRD Pro, there's a surround-view monitoring system with selectable front, side, or rear views. 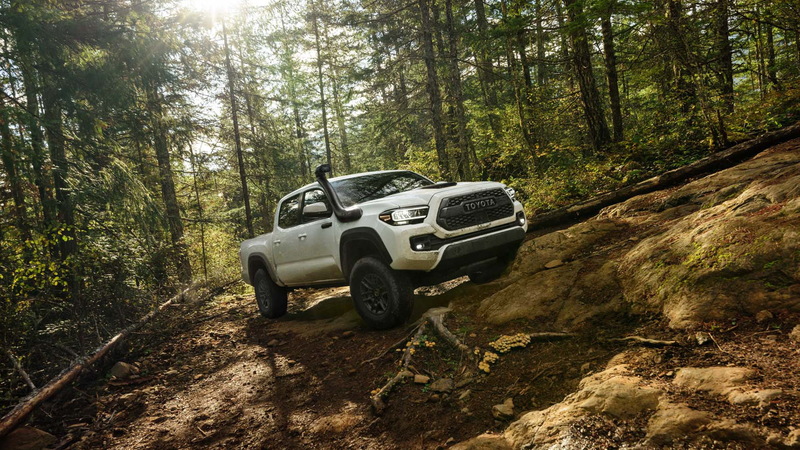 The 2020 Tacoma is offered in extended- and crew-cab configurations and with the choice of two engines. The entry-level option is a 2.7-liter inline-4 rated at 159 horsepower and 180 pound-feet of torque, while above this is a 3.5-liter V-6 rated at 278 hp and 265 lb-ft. The inline-4 is paired exclusively with a 6-speed automatic and the V-6 with either a 6-speed auto or manual. 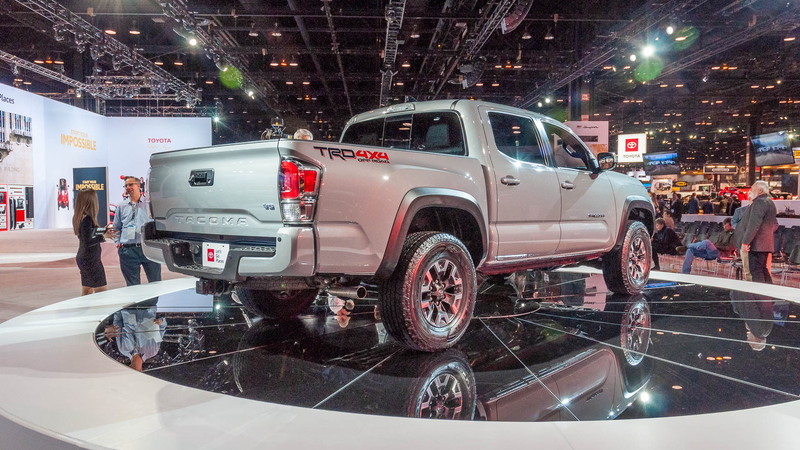 The V-6’s standard trailer-towing package includes a Class IV hitch and an upgraded cooling system that gives the Tacoma a 6,800-pound rating. 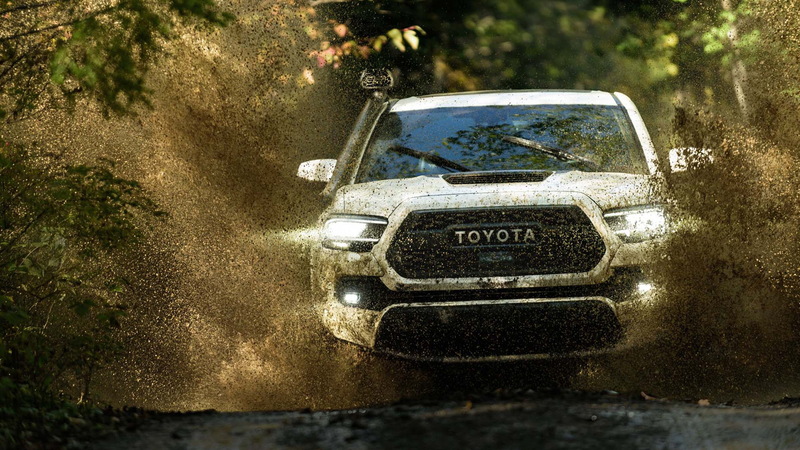 Toyota is also using the Chicago Auto Show for the debut of the 2020 TRD Pro range, which benefits from a few minor updates as well as a new member in the form of the Sequoia TRD Pro. For our complete coverage on the show, head to our dedicated hub.